The classics come to the Netherlands and huge crowds enjoy a day in the sun and beer from the race sponsor. The hilly course has been for the climbers but several sprinters want to muscle in. Here’s a race preview with the usual look at the course, contenders, TV times and more. The Route: 248km and apparently more than 4,000m of vertical gain, impressive for a day’s racing in the Netherlands. It’s all packed into a narrow area and having the route loaded on a GPS device can help racers know which way to turn as the race twists and turns across the Limburg province, including a brief visit into Belgium. In total there are 34 climbs, some repeated. Individually each of the climbs are not hard, typically a gradient of 5% for a kilometre although a few do have double-digit slopes and the Keutenberg, the nation’s steepest road, maxes at 22% and comes with 30km to go. If one hill climb is fine, 34 hill reps hurt. The vertical gain adds up but it’s the fight to be at the front that really takes its toll, these are narrow climbs that string out the field. Anyone badly placed will waste energy trying to get back up and so they’ll start the next climb in a worse way and so begins the vicious cycle that ruins their chances. All this is made harder by a course that twists past so much street furniture; imagine a race inside an Ikea store if you like. The Finish: the race climbs the Cauberg, 1500m long and 4.7% but with steeper earlier sections maxing at 12% and passes the finish line. 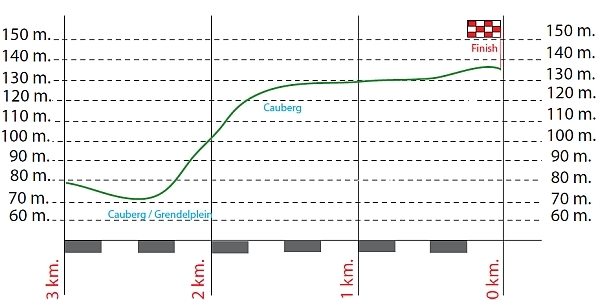 It then descends and climbs the Bemelerberg (1.3km at 3%, a brief moment at 6%) before the high speed drop into Valkenburg to start the Cauberg again and then 1.8km to the line. The Scenario: a hilly race that should reward attackers and those who can climb well to be up at the front and out of danger up, over and down the climbs the Amstel has become a sprint contest in recent years with the race winning move often only happening on the last time up the Cauberg. 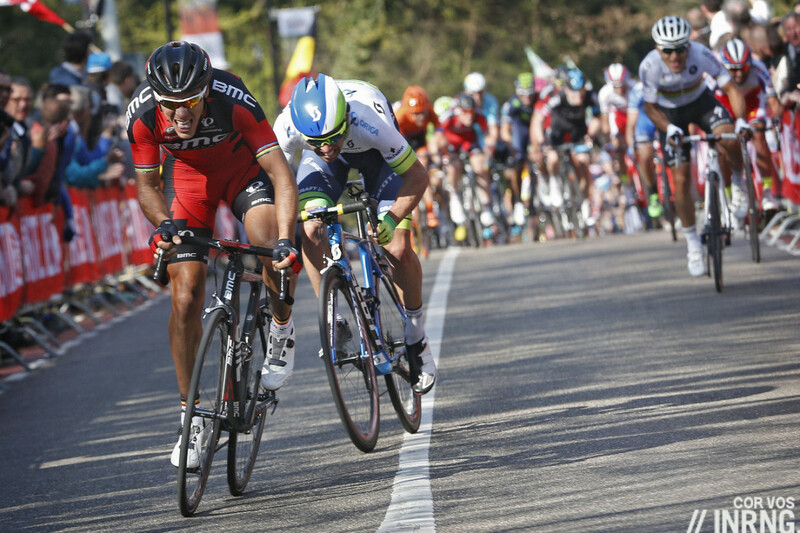 Several teams come with their uphill sprinters and few riders can escape their clutches. Michael Matthews is the prime pick for his ability to get over the climbs and win the sprint from the surviving group. 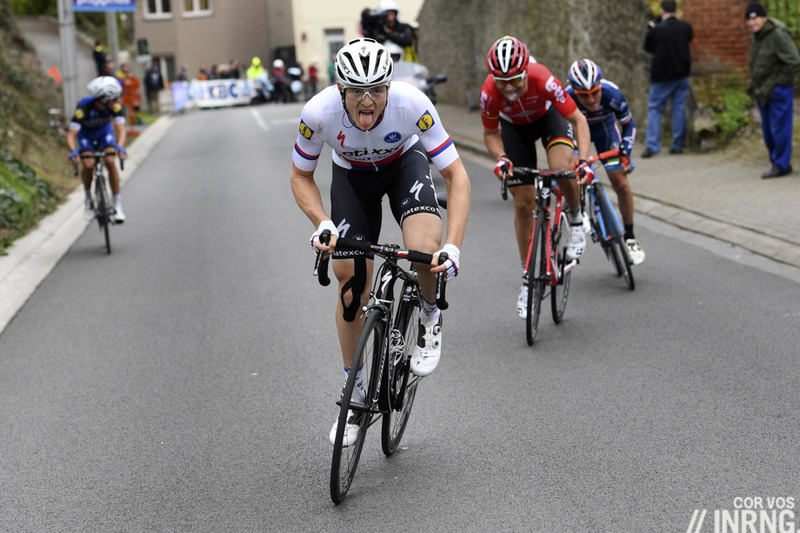 Last year he was so confident he tried to match Philippe Gilbert up the Cauberg but the pair were reeled in and beaten. Now Matthews is likely to sit tight for the sprint and can count on a strong team. Simon Gerrans a contender too, three times on the podium here before and he’s had two top-three finishes in the recent Tour of the Basque Country. Orica-Greenedge can play the Gerrans card on the Cauberg and Matthews for the sprint. Obvious? Yes but this is the kind of finish where power matters more than anything else, there’s no great need to bluff and feint. Adam Yates, Daryl Impey and Michael Albasini bring more options as outsiders but will surely work for the two top leaders. Michał Kwiatkowski is the “defending champion” although in cycling you can never defend a title, once the starting gun is fired there is no advantage to protect. 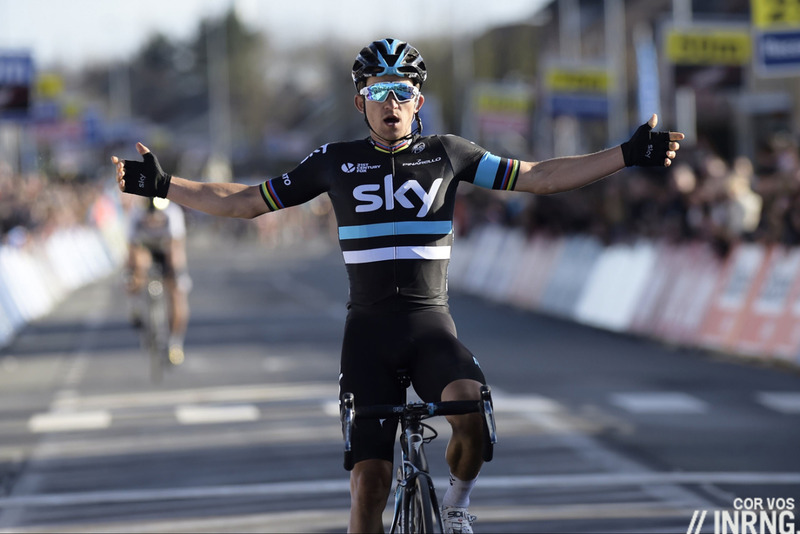 Kwiatkowski is in good form and if anything the question is how long can he stay his way? He was the best on the Cauberg last year and then cleaned up in the sprint and a repeat looks entirely possible again. Team Sky have more options with Sergio Henao and Peter Kennaugh who should be made for a race like this, see his win in the Dauphiné last year, Lars Petter Nordhaug often seems to thrive in this race and Ben Swift is a sprinter who can do these climbs on a good day too and Wout Poels is an outside chance too. Philippe Gilbert has won this race three times and become world champion on the Cauberg thanks to his trademark uphill attack where he drowns his rivals in lactic acid. He’s been in good form and usually pops up to win around this time of year, especially as he’s in contract talks right now. However an altercation with a car on a training ride has been a big distraction, there’s a fractured finger which must hurt and police statements to give which must tire. Now 33 we’ll see if he’s still got that attack which he’ll surely deploy on the Cauberg. Ben Hermans and Samuel Sanchez will help set up his moves and watch to see if Loic Vliegen can impress too. Etixx-Quickstep come with a strong team but no pressure to control the race: what a difference a week or two makes. Petr Vakoč has just won the Brabantse Pijl in a very obvious display of power helped by the resurgent Julian Alaphilippe who has put a long bout of mononucleosis behind him but can both deliver a result after 240km, the Czech is untested and the Frenchman lacks racing so there are doubts but this is there chance before Dan Martin arrives to lead in the Ardennes races. Bob Jungels could feature too. Lotto-Soudal have a lot of good riders but how can they unlock the race? Tim Wellens, Tony Gallopin, Jelle Vanendert and Tiesj Benoot all have the potential to go on the attack but they’ll find it hard if not impossible to stay away. Watch out for Jelle Vanendert for his curious ability to shine during the Ardennes week and then vanish from the results for most of the year. Who’s fetching the bottles at Astana? They bring a stacked team with a lot of options. Fabio Aru rides but has yet to look in sparkling form. Alexey Lutsenko is a dark horse, give him a small advantage and it’s very hard to pull back while Luis Leon Sanchez,Diego Rosa, Andrey Grivko and Dario Cataldo can all have their day. Poor Laurens de Vreese will have his work cut out. Russian rivals Katusha have a harder time. As measured by the time taken to get in the top-10 in a race leader Joaquim Rodriguez has had his slowest start to the season since 2002… when he was a neo-pro and he’ll surely be riding ahead of the Ardennes classics the following week. Bryan Coquard will be looking to track Michael Matthews and surprise in the sprint, it’s what he did in the Brabantse Pijl the other day. He’s a sprinter who weighs 58kg so can float over the hills and surge in the sprint but will he have the ability to do this after 250km? He wasn’t far off the front in the E3 Harelbeke until a mechanical got the better of him and he’ll lack team support to drop him off. Rui Costa has been looking good this season but as ever he seems to feature during a race but very rarely wins and how can he win atop the Cauberg given the opposition? 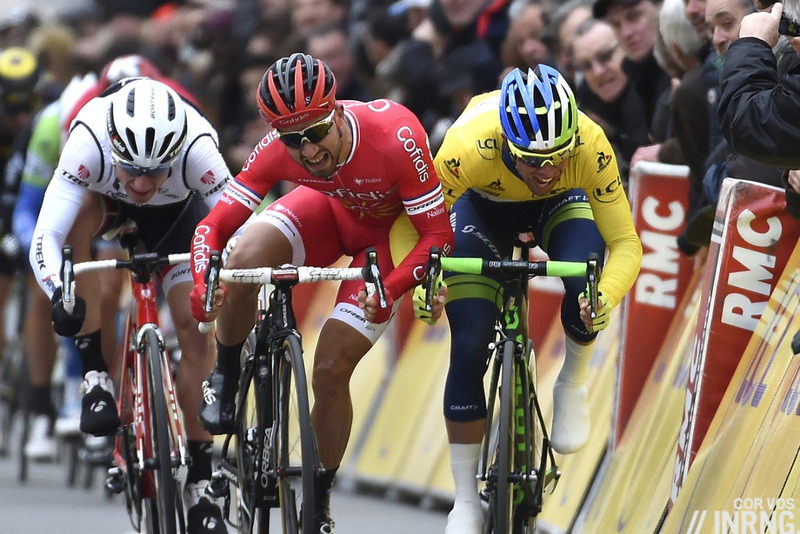 It’s why he was fourth last year, so close but hard to see him climbing higher in a sprint. The same for Diego Ulissi and both are a better prospect for Liège-Bastogne-Liège. Giant-Alpecin’s Tom Dumoulin isn’t just Dutch, he’s from the race’s region and finally gets to show himself in front of home fans and will be the local hope and if the team ride under a German flag this still feels like a home race for them. Warren Barguil‘s form is improving and he’s bound to attack while Simon Geschke has often shown well in this race. Trek-Segafredo’s Bauke Mollema brings some punchy climbing . He’s got Fabio Felline as back-up, a sprint dark horse. Continuing the Dutch theme Lotto-Jumbo race at home with Wilco Kelderman as the leader, strong in the Tour of the Basque Country and there’s Robert Gesink for the climbs too. Talking of Dutchmen Cannondale have yet to make people rush out and want to buy a Cannondale so far this season but local rider Tom-Jelte Slagter is suited to this race with its punchy climbs; Simon Clarke seems to be thriving since joining the team too and is fast out of a small group. Movistar leave out Alejandro Valverde and bring a strong squad with several capable riders. Giovanni Visconti is a candidate for a late attack while J-J Lobato will hope to be there for a sprint, the Spaniard has had a quiet start to the season so far with few wins than expected. * Can Edvald Boasson Hagen win? Yes and he could surge in the sprint but there’s been talk of adding weight and bulking up for the classics so he could find it harder to match them up the Cauberg. Finally Bardiani-CSF’s Sonny Colbrelli is beginning to get results again and sprints well in a race like this, Nippo-Vini Fantini bring Damiano Cunego but Marko Kump could be there and among the wildcard invitations Enrico Gasparotto is perhaps the strongest pick, in form thanks to his recent podium place in the Brabantse Pijl and experienced as he’s won the race in 2012 too but is better suited to the old uphill sprint atop the Cauberg. Weather: sunshine and clouds with a top temperature of 13°C. A light breeze of 15km/h from the north-west means a headwind after the top of the Cauberg which suits the wheelsuckers more than the attackers. History: first run in 1966 to promote Amstel Gold beer, this is the 51st edition of the race – spare the Rebellin jokes – and yet this is still seen as a modern race, a newbie classic that has only recently grown in stature and prestige. In years past it came the weekend after Liège-Bastogne-Liège, a last chance beer-drinking saloon for classics riders trying to salvage the early season but since then it has moved, joined the World Tour and is a fine event in its own right. Home rider Jan Raas has the most wins with five with Philippe Gilbert on three, ahead of Eddy Merckx, Gerrie Knetemann, Rolf Järman with two. TV: local channel NOS starts their coverage at 1.10pm Euro time with Eurosport picking up at 3.00pm and the finish is forecast for 4.35pm. Tune in early to watch the riders get eliminated by the climbs (and sadly the crashes) but the bulk of the action tends to come late in the race so unlike last Sunday’s Paris-Roubaix you don’t need to set aside your Sunday for this one. Hmmm, Valverde too tired of not winning this race? He wants to focus on the Giro, apparently. I feel like I’ve been waiting for years for Ulissi to win a race like this. He’s won plenty of the smaller Italian semi-classics and Giro stages on similar terrain. Maybe the step up in distance gets him. Interesting that you don’t think the finish suits him, I think it does. Was it last year he won a flat sprint at the Giro when the commentators mistook him for Modolo? And hat’s off to Mr. Inrng for – “.. imagine a race inside an Ikea store if you like.” Perfect image that one! Step up in class too. Ulissi has clearly been the strongest rider in lots of the smaller races like Lagueglia and Lugano this spring, but a combination of a weak team and too eagerness to chase down moves himself has left him with a lot of podium places rather than wins. Clearly a talented rider in need of refinement. Ah, you’re thining of Grega Bole! As welcome as this piece is for a leisurely Saturday morning’s read, I was secretly hoping that there’d be a Tro Bro wrapped present left by our Cyling Santa! I don’t want to let the cobble / gravel season go yet, but it doesn’t look like it’s on any streams either. So the Amstel Gold has become the ‘like-it-but-hoped-for-something-else’ gift for me! Oh well, Matthews for the win and continue the Australian success. ps The Orica film-makers should make the next Hollywood tearjerker because their epic on the unlikely Roubaix hero-made-good just about had me choked up by the end. Great stuff. +1 Tro-Bro Léon is a stunningly beautiful race. I wish some of the big names did it. And you folk know about this late summer gem https://www.youtube.com/watch?v=ZFJWHEM5P30 Schaal Sels is another beauty. A welcome teaser Inrng. A lack of IAM contenders had me thinking any of Team Sky’s outsiders would be leaders on that squad. I hear IAM might be changing their recruitment policy; signing riders on two year rather than one year contracts to attract bigger names. Tro Bro is a great race but previewing something few in the world can watch is bound to annoy plenty. FDJ’s Alexandre Geniez, aka the Colossus of Rodez, and Direct Energie’s Petit are the prime picks. Understood, and thanks for the tips. Merci also to Paddy Dunne. Eurosport uk online has it – in one of their advert- and commentary-free things that are further down the ‘schedule’ section. So, some illegals might have it too? My tip for the race? Kirby to bang on incessantly about how Simon Clarke might well have won Milan Sanremo if he hadn’t crashed (look out for it – it’s an inexplicable favourite of his). If you fancy watching both races at the same time, CyclingHub.tv are streaming TroBroLeon (in HD) from 3:15 CEST. Great write up, this and the Ardennes with their need for climber who can sprint I would have thought to be perfect for the world champion. Is this just too much climbing over the race? Fixed, thanks. As ever corrections are always welcome. Thanks for the preview – I’ll be looking for a pirate feed tomorrow. I’ve always had a thing for Amstel Gold; I think because the parcours resembles the roads I ride here in the mid-Atlantic USA countryside, and also our local race in Philadelphia has a similar party vibe on Lemon Hill and the Manayunk wall. I really hope to visit the Ardennes some day and try some of these roads myself. This race really sells the area as being a playground for cycling. The start list looks a bit thin of big stars. I wonder why. Perhaps team managers know that the Cauberg finale is so selective that only very few riders are capable of winning this race. This race is worse since they dragged the finish back from the top of the Cauberg. I don’t know if it makes much difference, then it was an uphill sprint after 248km and now it is an uphill run and then a sprint after 249km. I do wonder if they could tweak the course, repeating the same route again and again allows teams to learn how to control the race and lock things down. * I’d omitted Boasson Hagen only to get pulled up by a Norwegian rider on this. He does have a chance and his name has been added to the list above. I have High hopes for sonny colbrelli. He proved to be stronger than Michael Matthews on the final climb in brabantse. The caught up to him in the sprint, but he was clearly the strongest rider in the peloton. 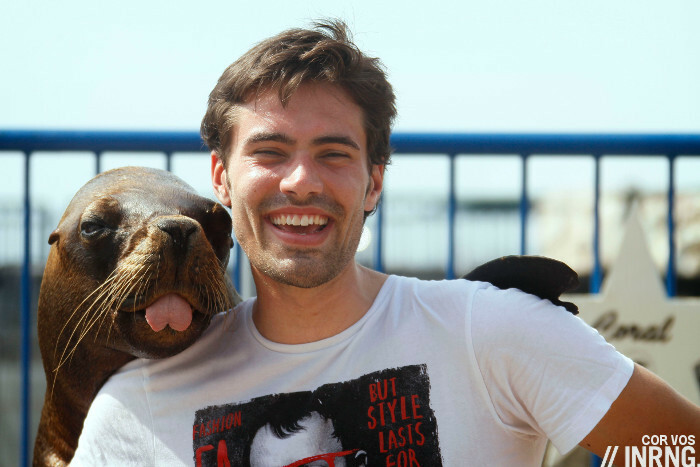 That Tom Dumoulin photo makes me smile every time. I always find that this race is a bit strange to watch as all the narrow spaghetti roads merge to confuse. Its probably just me though. They are doing cheap boxes of Amstel at my local supermarket so I have the option to enjoy the race with the correct beverage in hand. Crazy thing that Gilbert / Vliegen story. Hope for them that this won’t ruin their classics. Apparently Vliegen is OK (apart from being strongly shaken in the incident) but Gilbert broke some fingers, which I am sure is no help for his usual lactic acids deployment… (Btw, loved the “drown his opponents in lactic acids”). On EBH, I did not understand well. For me, he looks in good shape after last week PR and he already have had good results on the Cauberg – for instance in the Worlds. Did he add up on weight? I did not notice. This race is a spectator’s dream. You can see the start in Maastricht, if you plan proper see the race at least three more times and then see the finish on the TV in one of the countless cafes combined with a full day of cycling. I love it and it’s right in my backyard. Swifty a better bet but still likely 2nd string behind Kwia. SOOOOO happy for Wanty/Groupe Gobert on the win! Karma is a beautiful thing, and Gasparotto timed it well. Don’t know that he would have held off the bunch had he remained solo, but kudos to the Tinkoff rider for not being afraid to go for the win instead of not pulling and guaranteeing being off the podium had the bunch caught on. And they keep wondering why no big-money corporations want to sponsor pro cycling teams?